Awaken your heart, activate your inner wisdom & let love guide your life. In today’s episode I speak with life and blog coach Rachel MacDonald. 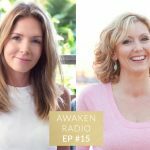 We dive deep in to what it means to live a Spirited Life and how you can invite Spirit in to each moment of your life in order to experience profound shifts and more aliveness, flow and peace each day. Through our chat we refer to an amazing ebook called Spirited: Soulful Lessons on Clarity, Connection + Coming Home (To You) that Rachel co-authored with Tara Bliss. This book is a must-read and an absolutely beautiful resource for anyone seeking to strengthen their relationship with Spirit. I would love to hear your thoughts on today’s episode. What does living a Spirited Life mean to you? Share with me below. Begin now with my free 6 part Inner Transformation Audio Course.